IRDNING, Austria, May 29, 2010 (AFP) - Fabio Capello has admitted he is prepared to take a gamble on the fitness of Gareth Barry because he feels the Manchester City midfielder is so central to his World Cup plans. Barry injured ankle ligaments in City's Premier League game against Tottenham on May 5th, and is still unable to train, but Capello is prepared to take him to South Africa even if the midfielder will not be fit until after England's first Group C game, against the USA, on June 12. England play their final warm-up game, a friendly against Japan in Graz, Austria on Sunday, and it is Capello's last chance to assess his players before reducing his training squad of 30 to a final 23 on Tuesday. The Italian coach has previously taken a strong line on injured players, but is prepared to give Barry more time to prove his fitness. "Gareth Barry is a very important player. He has played in all the (qualifying) games for us," said Capello. "After this game we have to decide if he will be with us in South Africa. 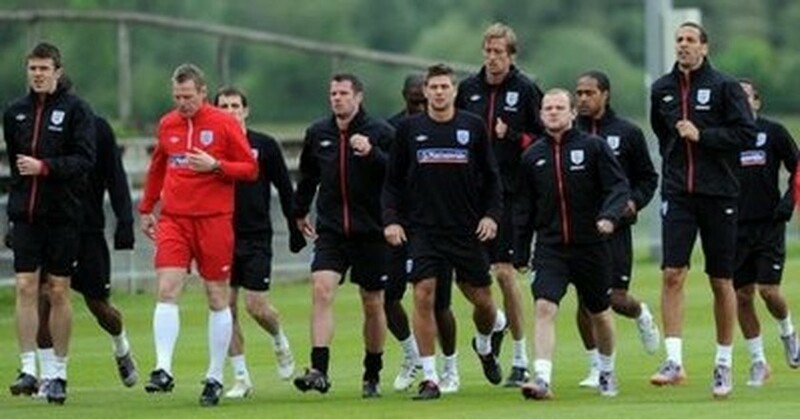 He will be with us if we decide he can train normally after the first game, against the USA." Capello dismissed fears about Steven Gerrard's fitness, after the Liverpool midfielder appeared to break down in training after playing in last Monday's 3-1 victory over Mexico. "He is fit and trained very well. He did everything and there is absolutely no problem. He was tired after the game against Mexico but now he is fit," added Capello. Capello will change his starting lineup against Japan, with David James restored in goal, Sunderland striker Darren Bent in attack and Tottenham pair Tom Huddlestone and Aaron Lennon in midfield. "I have to know some players better, and try a different style on the pitch." Asked if he will consult his senior players before choosing his final squad, Capello replied: "No, I decide because if we lose, I want to know that I lose with my decisions. "We need leaders on the pitch and leaders in the dressing room. The senior players are sometimes leaders, and they need to understand my ideas and to speak with the other players. They need to be strong and I said to the players I want to see the English spirit. "You can have an Italian manager, a Brazilian, Swedish or Scottish manager, and learn different styles. But the really important thing I want to see is the English spirit on the pitch." England have chosen Japan because of their similarity in style to Brazil and because England have not played an Asian team since a friendly against them six years ago. "The Japanese team is very good. They play in a style like Brazil, with a lot of touches and always four or five players in front of goal, and it will be interesting for us to play against a team from Asia."